For when Friday night traffic hits you on a Sunday afternoon. For when the jackass at work gets promoted over you. For when you get another rejection letter and then see Snooki‘s book at Barnes & Noble. For when you thought you had your first night off from the kids in two months and your dude, chick, or partner never shows up. They forgot and you have no CSI: Crime Scene Investigation skills when they stroll in at midnight. For these times, you go to The Masters of Merge … Ben & Jerry‘s. They combine unusual flavors to help ease your mind. They merge ingredients that have no business hanging out together into a sweet deliciousness that makes you forget about the calories. They merge stuff like vanilla bean ice cream with salty caramel swirl and fudge covered potato chips to produce ice cream awesomeness. 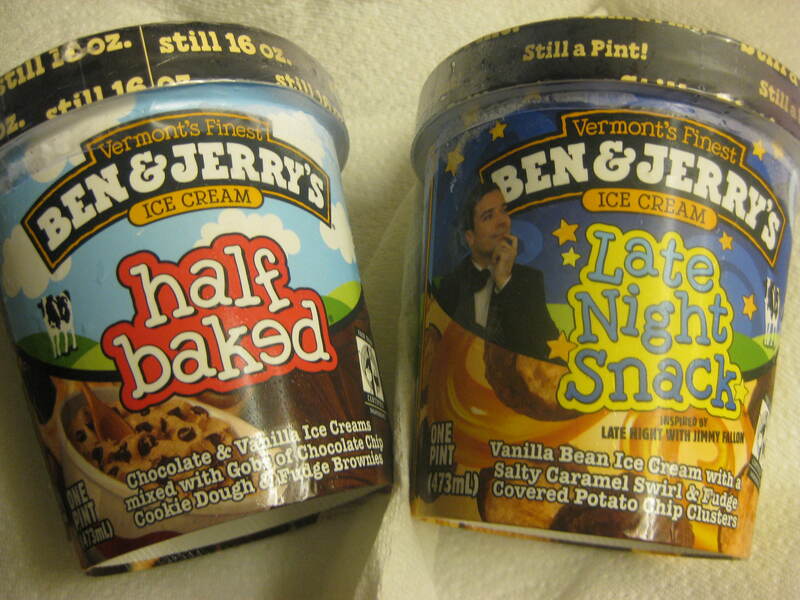 Ben & Jerry’s … The Masters of Merge. I’ve got a standing prescription. Ha! Yeah … I don’t know why I bother working out if Ben & Jerry’s still exist. I’m only fooling myself. Love the flavor of this post, Ms. Guat. Pun intended. Oh, I wish. Monumentally lactose intolerant over here. It would be almost as lethal for me to scarf cyanide. Glad that B&J’s works for you. I once visited the factory in Vermont. You’d be in an even greater bliss if you went there. I would totally love to do that. I’d go crazy that’s the kind of nerd I am, but apparently Vermont is too far for some people to travel just to see ice cream. I mentioned the snow, but they said there’s snow in Lake Tahoe or Colorado and those places are closer so I guess I’ll take the virtual tour. A sweet , delicious merge. I love Ben and Jerry’s. And experimenting favors is an exciting adventure of the palate!